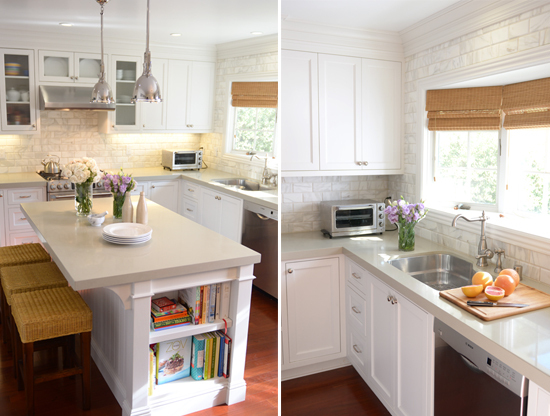 If I have any faithful readers they may remember a few posts about a kitchen in the East Bluff neighborhood of Newport Beach that we completely gutted and redesigned (see first post here). We actually completed construction about a year ago, so sharing the finished product has been a long time coming. 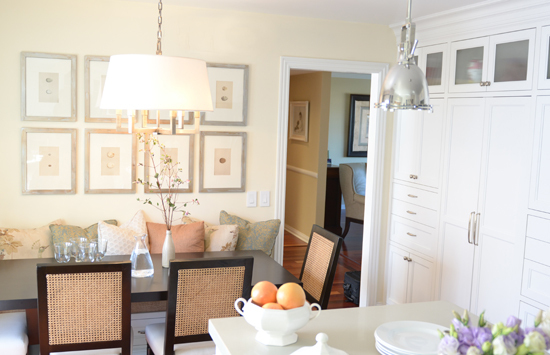 Kitchen remodels are quickly climbing the charts as one of my favorite types of projects. 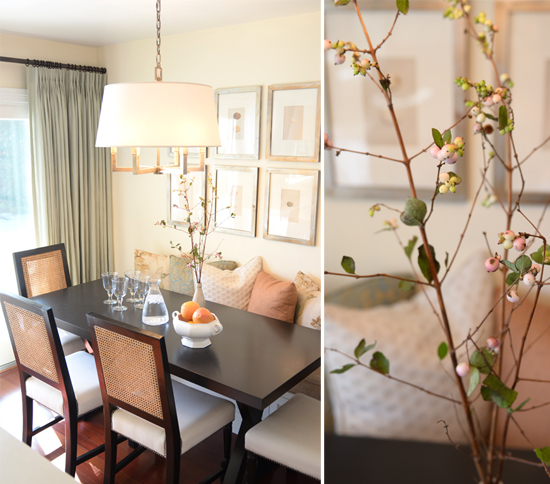 There is something about designing one of the most necessary and used rooms in a home that really interests me. It's somewhat like a puzzle and I enjoy the challenge of fitting all of the pieces together to create the most efficient and functional space possible for my client. After a kitchen is complete and my client tells me that they have a renewed love of cooking, or that their mornings now aren't ever long enough to sit and enjoy their morning cup of tea at the breakfast table, that is when I know that the design was truly successful. Beautiful Britt!! Love, love, love the back splash!! You & Troy need to go into re-designing kitchens. He has done several and is amazing with wood! Beautiful kitchen. Do you know the name/color of the CaesarStone? love it! everything looks so fresh, bright and beachy. I would agree, this kitchen design is awesome! The ambiance is perfect, it's so fresh and Eco-friendly. I just wondering if they hired a furniture removalists when designing this kitchen.